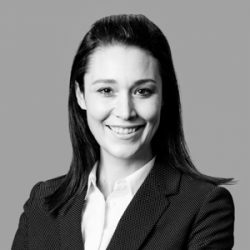 Andrea practises in Commercial and Criminal Law with an interest in White Collar Crime and regulatory matters, banking, insolvency and finance, consumer and contract law. She also accepts briefs to appear in Employment and Industrial Law. Andrea commenced her career as a graduate at the ANZ Bank. She dealt in interest rate products and was also involved in the syndication of property trusts and IPOs. For two years after that, Andrea was an Associate at the County Court of Victoria, sitting in a variety of different practice areas. Immediately prior to coming to the Bar Andrea worked at the Office of Public Prosecutions where she gained experience in the General Prosecution of criminal and regulatory matters. Andrea then specialised in Sexual Offences. She was responsible for the preparation of a variety of complex matters in the Magistrates’ Court, County Court, Supreme Court and Court of Appeal including committals, pleas, trials and interlocutory appeals. Since coming to the Bar, Andrea has regularly appeared in the County Court, Federal Circuit Court, Magistrates Court and VCAT. She has run contested hearings in Legal Costs disputes, Industrial matters, family violence and Criminal matters amongst others. Andrea also has experience in written advocacy. She has drafted Pleadings, Affidavits, various applications, written submissions, notices, minutes of consent and advices regarding the operation of provisions in the Evidence Act, Fair Work Act, Legal Profession Uniform Law Application Act, Sentencing Act and Sexual Offenders Registration Act among other areas of law. Andrea has provided written advices for clients, the Director of Public Prosecutions and Victoria Police regarding the sufficiency of evidence, liability and prospects of success. Andrea holds a Bachelor of Laws (Honours II) and a Bachelor of Economics from the University of Sydney. Andrea is reading with Colin Mandy and her senior mentor is Dr Suzanne McNicol QC.